This morning in St. Peter’s Square, before a crowd of nearly 80,000 people, Pope Francis presided over Holy Mass for the canonization of seven Saints. José Sánchez del Río (Mexico); Salomon Leclercq (France); José Gabriel del Rosario Brochero (Argentina); Manuel González García (Spain); Lodovico Pavoni (Italy); Alfonso Maria Fusco (Italy) and Elizabeth of the Trinity (France). At the start of today’s celebration, we addressed this prayer to the Lord: “Create in us a generous and steadfast heart, so that we may always serve you with fidelity and purity of spirit” (Collect). By our own efforts, we cannot give ourselves such a heart. Only God can do this, and so in the prayer we ask him to give it to us as his “creation”. In this way, we come to the theme of prayer, which is central to this Sunday’s scriptural readings and challenges all of us who are gathered here for the canonization of new Saints. The Saints attained the goal. Thanks to prayer, they had a generous and steadfast heart. They prayed mightily; they fought and they were victorious. So pray! Like Moses, who was above all a man of God, a man of prayer. We see him today in the battle against Amalek, standing atop the hill with his arms raised. From time to time, however, his arms would grow weary and fall, and then the tide would turn against the people. So Aaron and Hur made Moses sit on a stone and they held up his arms, until the final victory was won. This is the kind of spiritual life the Church asks of us: not to win by war, but to win with peace! There is an important message in this story of Moses: commitment to prayer demands that we support one another. Weariness is inevitable. Sometimes we simply cannot go on, yet, with the support of our brothers and sisters, our prayer can persevere until the Lord completes his work. Saint Paul writes to Timothy, his disciple and co-worker, and urges him to hold fast to what he has learned and believed (cf. 2 Tim 3:14). But Timothy could not do this by his own efforts: the “battle” of perseverance cannot be won without prayer. Not sporadic or hesitant prayer, but prayer offered as Jesus tells us in the Gospel: “Pray always, without ever losing heart” (Lk18:1). This is the Christian way of life: remaining steadfast in prayer, in order to remain steadfast in faith and testimony. Here once again we may hear a voice within us, saying: “But Lord, how can we not grow weary? We are human… even Moses grew weary…!” True, each of us grows weary. Yet we are not alone; we are part of a Body! We are members of the Body of Christ, the Church, whose arms are raised day and night to heaven, thanks to the presence of the Risen Christ and his Holy Spirit. Only in the Church, and thanks to the Church’s prayer, are we able to remain steadfast in faith and witness. We have heard the promise Jesus makes in the Gospel: “God will grant justice to his chosen ones, who cry to him day and night” (cf. Lk 18:7). This is the mystery of prayer: to keep crying out, not to lose heart, and if we should grow tired, asking help to keep our hands raised. This is the prayer that Jesus has revealed to us and given us in the Holy Spirit. To pray is not to take refuge in an ideal world, nor to escape into a false, selfish sense of calm. On the contrary, to pray is to struggle, but also to let the Holy Spirit pray within us. For the Holy Spirit teaches us to pray. He guides us in prayer and he enables us to pray as sons and daughters. The saints are men and women who enter fully into the mystery of prayer. 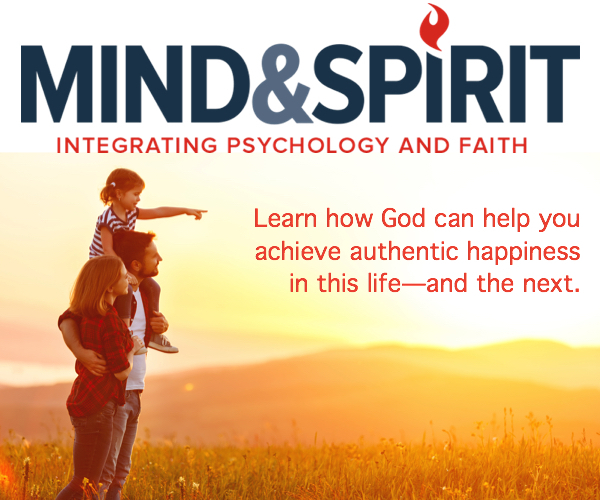 Men and women who struggle with prayer, letting the Holy Spirit pray and struggle in them. They struggle to the very end, with all their strength, and they triumph, but not by their own efforts: the Lord triumphs in them and with them. 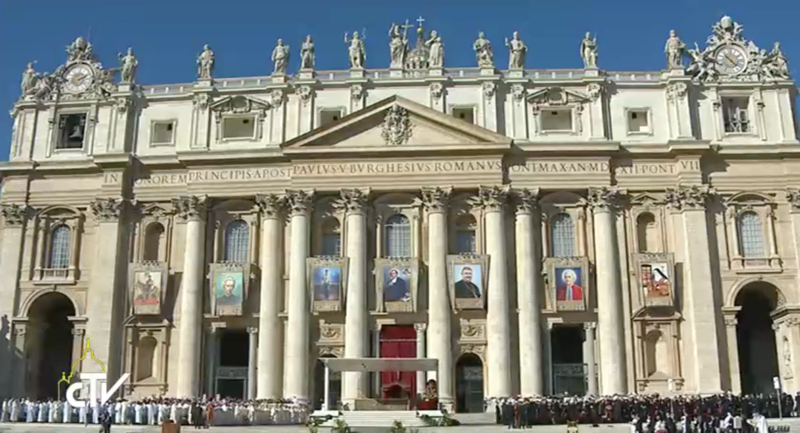 The seven witnesses who were canonized today also fought the good fight of faith and love by their prayers. That is why they remained firm in faith, with a generous and steadfast heart. Through their example and their intercession, may God also enable us to be men and women of prayer. May we cry out day and night to God, without losing heart. May we let the Holy Spirit pray in us, and may we support one another in prayer, in order to keep our arms raised, until Divine Mercy wins the victory.